A beer belly doesn't only affect your self-esteem, but also your odds of developing aggressive prostate cancer. This is according to a recent study conducted by researchers at the University of Texas MD Anderson Cancer Center in the United States. 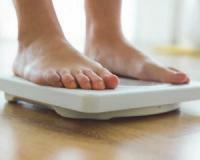 The study also found that if you're 40 years old and obese, you're at double the risk of developing the deadly disease! For the full findings, keep reading. To arrive at their conclusions, the researchers behind the study looked at 526 men who’d been diagnosed with prostate cancer and survived. They found that the men who were obese at age 40 and at the time of their prostate cancer diagnosis (which was 20 years later, on average) were 50% more likely to see their PSA (prostate specific antigen) levels rise after treatment than their leaner peers. High PSA levels are a typical sign of prostate cancer recurrence. “Weight gain over time alters hormones and may create an environment that breeds aggressive cancer,” said lead researcher Sara Storm, PhD. She added that losing weight, especially with a low-fat diet and exercise, can help reduce your risk of prostate cancer. The most important step when it comes to weight loss is cutting back on sugars and starches (carbohydrates). These are the foods that stimulate the secretion of insulin, which leads to fat storage, the most. Include lots of fresh fruits like broccoli, cauliflower, spinach kale, Swiss chard, Brussels sprouts, cucumber and celery. You should also include protein like beef, chicken, lamb, pork, salmon, trout, shrimps and omega-3-enriched eggs. Lift weights three times a week to burn a few calories and prevent your metabolism from slowing down. The bottom line: Manage your weight to reduce your risk of aggressive prostate cancer and improve your overall health.